First-aid is undoubtedly important in any industry, but in kitchen environments in particular the list of potential hazards is extensive. Between sharp knives, heavy machinery, electrical components and dangerous gases, there are numerous things that can go wrong, so it’s vital to ensure that you are adequately prepared. A notice on the HSC website states, ‘The Health and Safety (First-Aid) Regulations 1981 require employers to provide adequate and appropriate equipment, facilities and personnel to ensure their employees receive immediate attention if they are injured or taken ill at work’. The problem however, is that many employers remain uncertain as to what exactly constitutes ‘adequate and appropriate’, as specific legislation varies depending on the job role, industry and company/facility size and output. So, let’s boil it down to the basic requirements which you must be aware of if operating a commercial kitchen, or working in catering and hospitality in general. These factors should help you in assigning a risk level to your company, which dictates your specific responsibilities. You are not required by law to keep a record of your needs assessment, although you may find it beneficial to do so. Further information on performing a first-aid needs assessment is available from the HSE website. Other regulations those employing within the catering industry must adhere to include; preparing a statement of safety policy (must be written if you employ five or more people), informing employees about risks present and providing adequate training, carrying out routine health surveillance for industry-related issues, and setting up emergency procedures (in catering, this latter point will likely only apply to fire and gas leaks). 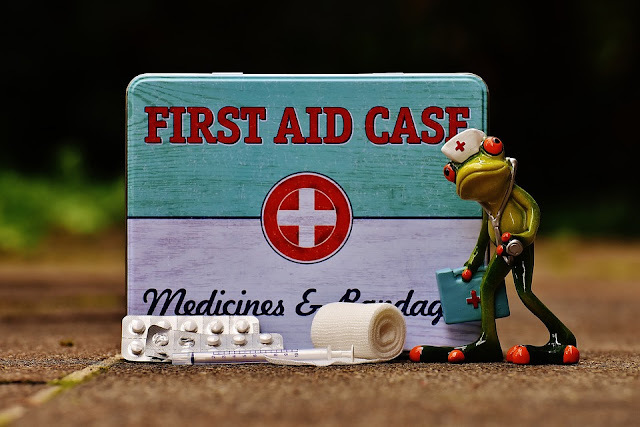 Small, low-risk workplaces are typically only required to appoint a competent person to take charge should the need for first-aid arise (known as an appointed person), with this person requiring no special training. In the case of most kitchens however, the wide array of potential risks usually requires a designated, trained first-aider. 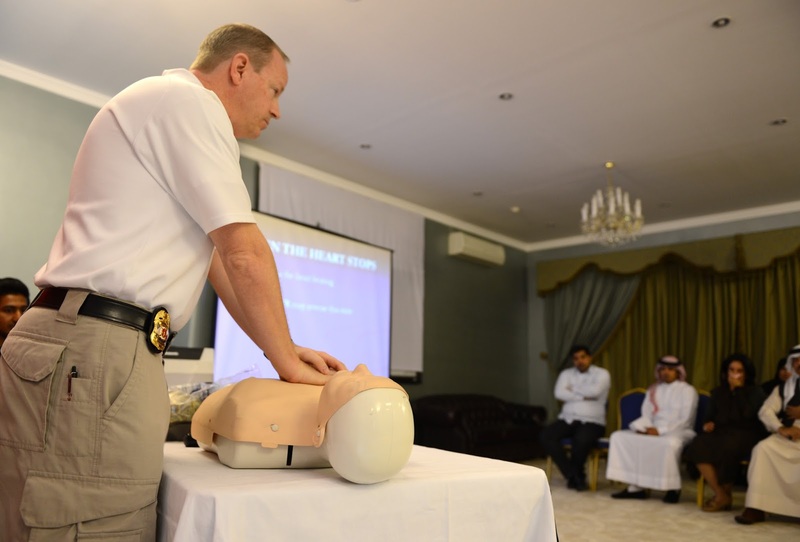 The necessary training must be given by a competent provider on the subject first-aid at work, emergency first-aid at work, or another equivalent and appropriate level of training. There are no exact figures concerning at which point you are required to appoint a first-aider, as this is based on the results of your needs assessment, but in the catering industry it is normally safer to assume that a trained first-aider is necessary. As briefly mentioned above, the catering industry does have a few unique aspects to it in terms of health & safety / first-aid, such as the need for detectable dressings and plasters. It would also be wise to stock burn treatments, as well as disinfecting solutions for wounds. Try to house your first-aid kit near to hand-washing facilities. If mains water is not available for eye-irrigation, you should provide at least one litre of sterile water or saline in a sealed container. It may also be a good idea to invest in a purpose-built eyewash system. 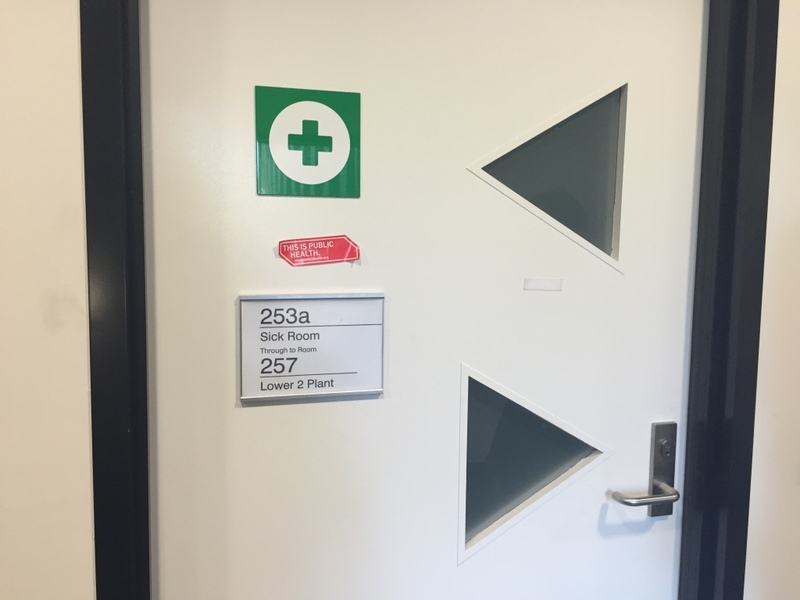 In larger premises or those with a high level of potential hazards (commercial kitchens often fulfil at least one of these conditions), a designated first-aid room may be required. 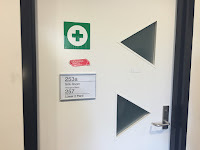 The assigned room should be easily accessible to all employees and be supervised by your first-aider or appointed person(s), with the names and locations of first-aiders prominently displayed.